Geoffrey Beene for Neiman Marcus 1970s Silk Blouse & Skirt with pockets Size 2. 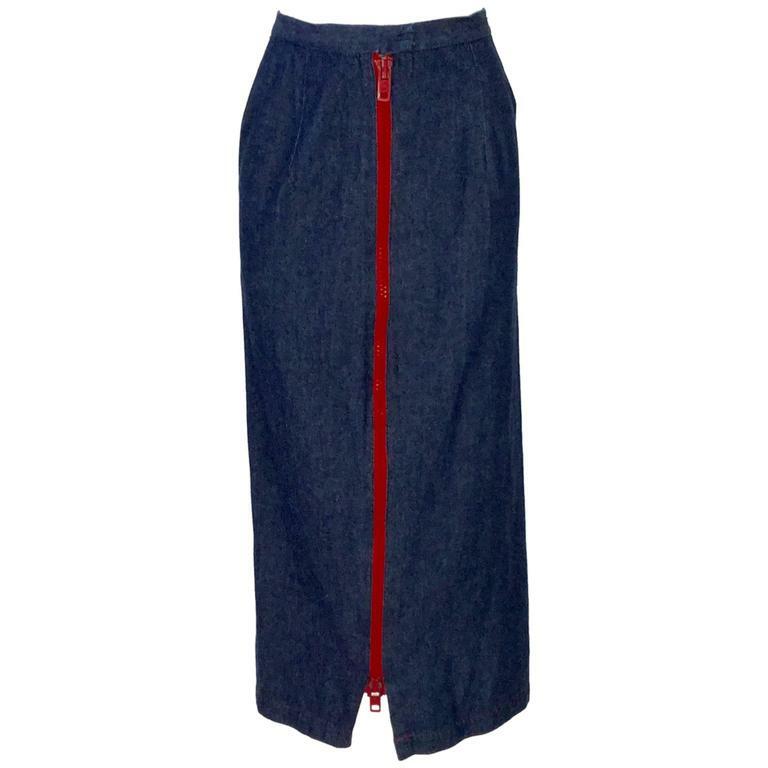 1970's faded dark wash denim midi skirt from Geoffrey Beene's 'The Beene Bag' line. Center front hook and eye closure. There is a large red metal and plastic two-way zipper that zips down center front. 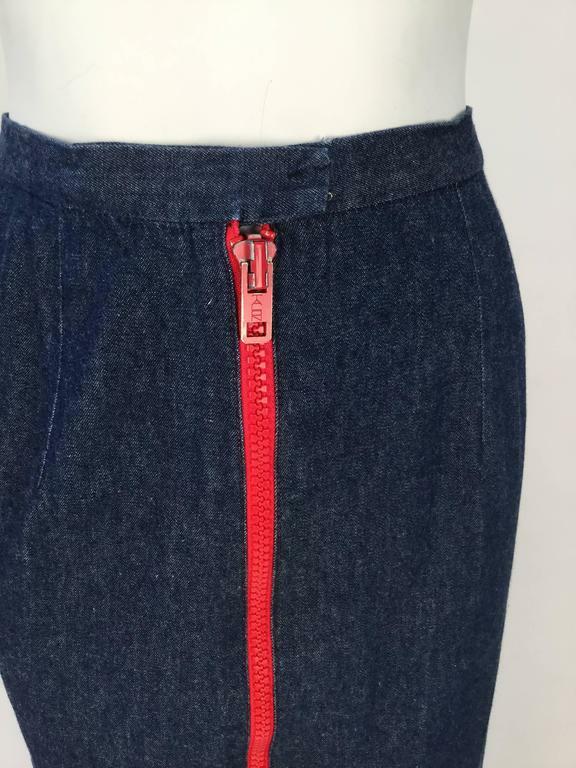 Red top stitching at bottom hem and by the zipper. 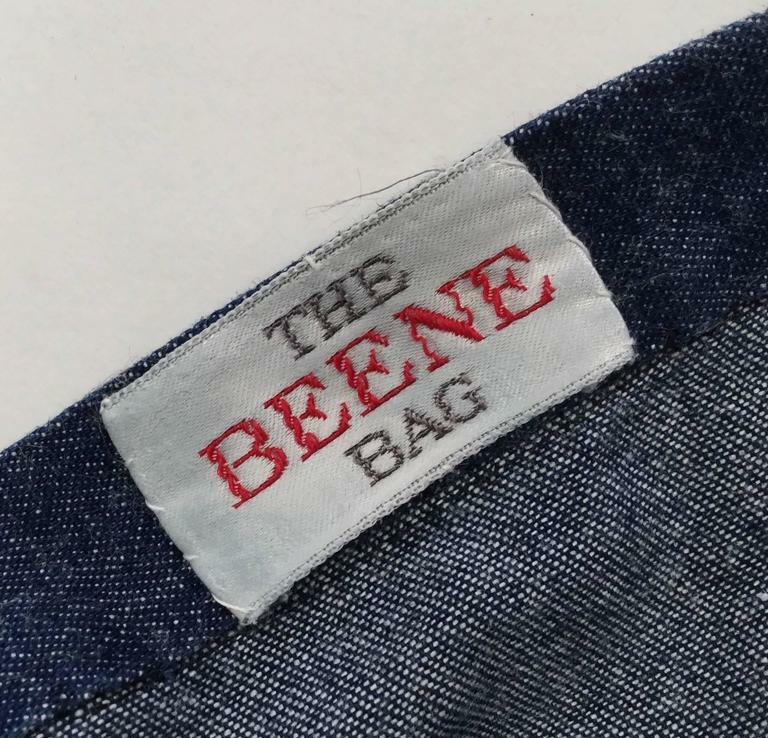 4" opening at center front, where zipper ends. We love to make this timeless piece modern by opening the zipper until thigh length and leggings or bike shorts under it! Modern US Size 2 *All our garments have been professionally cleaned and thoroughly checked before shipping. They are ready to wear upon arrival. 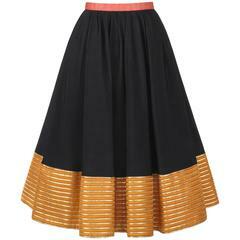 Green suede symmetrically pleated Mario Valentino skirt. 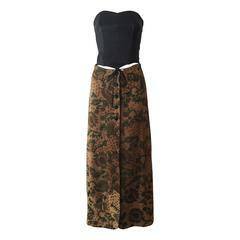 Skirt is knee length, with a wide waist band, and zipper closure. 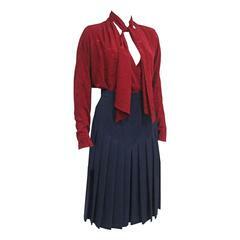 Has pockets hidden in the pleats! Made in Italy.